The purpose of this website is to provide information about volunteer opportunities in the San Francisco Bay Area. Hopefully, volunteerism will be stimulated and facilitated by letting potential volunteers know about the wide range of opportunities open to them and by giving Bay Area non-profit organizations a means of publishing their goals and needs. If you are considering volunteering we hope this site helps you find the opportunity you are looking for. Volunteers are needed to do just about anything from repairing computers to picking fruit to making sandwiches. Time commitments can range from a few hours for a single project to as much time as you have available. Try something new. 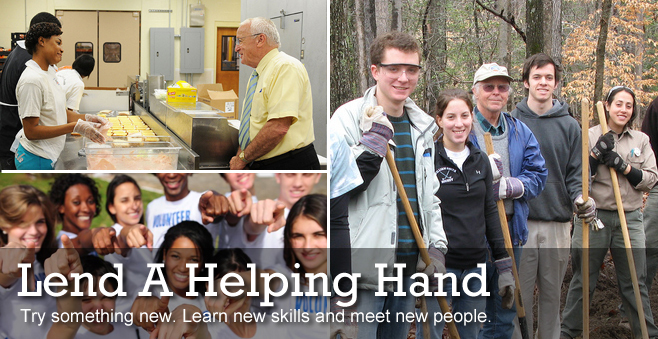 Learn new skills and meet new people. We provide the most comprehensive searchable database of Bay Area nonprofits with continuing volunteer needs. We do not list individual opportunities. You may search for nonprofits geographically (above), by area of interest (search box above), or by other categories (links in yellow background to the right) to find organizations with the most appropriate opportunities for you. For example, if you are interested in working with children, type 'children' in the search box below and you will be presented with several pages of appropriate organizations and their websites for you to review and make contact with. If you wanted to know about organizations only in Alameda County you could type in 'Alameda', or click on 'Alameda' in the yellow box to the right, or click on 'East Bay' above to get organizations and their websites. Then go to the listed websites to get more information and make contact through that organization's website to learn more and to set up the opportunity most suitable just for you. Hope this helps!